Prom package with a difference, we are offering an all in one prom package that even includes transport, as well as free photos plus more. Our vision is to make your 2014 prom the ultimate prom. We have carefully selected local companies who share the same passion as we do, and that is to produce the ultimate wow factor. We have looked at other packages in the region, and felt that there is so much more to be offered at a cost that is sensible and affordable, after all we are concentrating on the end of an ere celebration. We have listened to both pupils and staff from some of the local schools and have created the packages for the ultimate end of year experience. I’m sure you agree that this is a prom package that stands out from the rest, and the best bit is the price. We will be updating this information throughout September as we are confident that our all in one price can tempt your school away from the normal yearly venue. We have chosen the Park Hotel in Tynemouth for the stunning coastal views, secure free parking with plenty of spaces for any stretched limousines and of course the coaches that will bring you all to the red carpet arrival. 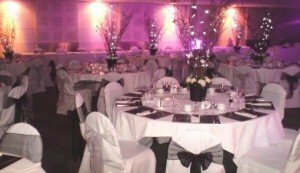 The ballroom will be dressed to impress, where you can enjoy a three course meal. We will even have a candy cart on site offering every attendee complementary candy. As most of the guests will be under 18 we have worked alongside experienced master cocktail makers who have designed a very impressive and sophisticated ‘mocktail menu’, which is 100% non alcoholic. Our party photographer will mingle with you all snapping up those special moments while offering every attendee a FREE photo to take home. We will also pass a disc to your school with all the pictures from the evening and offer a social media page to share and tag your own picture. Our photographer will also take pictures to order with a stunning 6 metre LED lite back drop for the all important photo’s with 10% of the proceeds will go back to the school. Our DJ will have a music collection with over 23,000 tracks available, ranging from the party classics right up to the latest releases just to ensure we cater for everyone. Our impressive lighting system will be installed including our LED up-lighting system. We have teamed up with a well known coach company offering safe return transportation from your school to the venue. This is an optional extra so please add £4.00 per ticket and let us arrange it for you. If you would prefer to have professional supervisors on duty we can offer SIA licensed staff to be present at the venue who can keep a discreet watchful eye over the attendees. This would be at an extra cost on top of the ticket price. Our LED Dance Floors are the ultimate accessory to any venue and is certain to wow you and your guests. 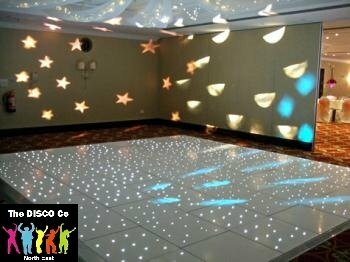 We offer both white or black LED starlite dance floors that can fit most room sizes, up to 60ft x 60ft. Our floors can make a fabulous cat walk or the best prom dance floor you could imagine. You should consider Led dance floor hire when planning a prom as the floors really do look incredible, and will provided the most amazing back drop for your photographs. 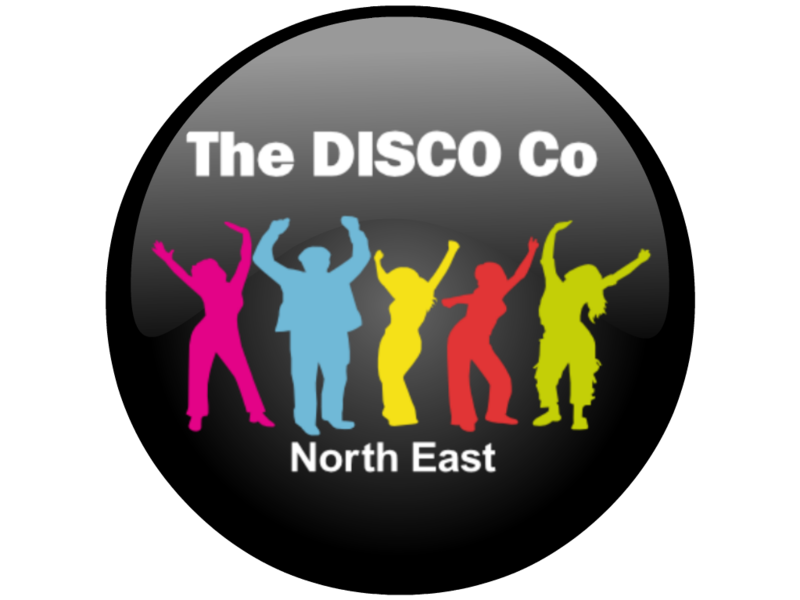 We will be contacting schools in the Newcastle and North Tyneside area by the end of September, and would be more than willing to meet with any prom committees, and urge you to act quick when booking your prom package so you don’t miss out. The prom package price is set at £29.50 without transport. If you would like to know more about our Prom Package or even make some alterations (including the venue) please contact us today.